1) Do the existing facilities fit with your business plan? Assuming that you are buying a tanning salon with existing sun-beds, you will need to consider if you want to expand the business and what this may involve. Most residential and small commercial properties are fitted with a standard 240 volt, or ‘single phase’ electricity supply and this will only run two sunbeds. Try and power any more, and you will blow a fuse and risk cold, naked and angry customers. To run three or more sunbeds, you will need to upgrade your power supply to ‘three phase’. This involves a fair amount of building work, can take up to eight weeks and will cost between £2000 and £3000. Bear in mind that new sunbeds cost, on average, around £7000. Also, if you want to include a spray tan service, you will need an extra room for this. Think carefully about what service the existing business provided, and whether you can afford to add to it. 2) What are the running costs? Before you invest, try and work out what the tanning salon currently costs to run, whether you can afford this, and hopefully improve upon it. A 40 tube 200 watt sunbed uses 9.6 kilowatts so would cost around 84p to run for an hour. If you charge your customers £3.50 for 10 minutes, the sunbed will make you around ￡20 per hour. That’s a good profit, but you have to consider that sunbed lamps usually need replacing every 500 hours, a full re-tube and service will cost £500 and your very expensive beds depreciate in value very quickly. As they need replacing every few years – you will need to be sure that you can attract enough business to cover costs and leave you with some real profit. Cleaning costs, building maintenance, possible rent and staff wages all need to be considered here. 3) Buy, rent, lease purchase or profit-share? There are other alternatives to buying your sunbeds new, so however the business was run before, you will need to decide how you want to finance things from now on. Reconditioned beds are a good option and if they come from a reputable supplier, can be nearly as good as new. This option will cost you less than half the price of a new bed, and, although there will be no lengthy guarantee, you can ask for three months parts and labour. If money is tight after your initial purchase, then renting or lease-purchase are both options. A reconditioned sunbed costs around ￡40 per week to rent, but you may be liable for the cost of maintenance. In a busy salon, a commercial sunbed could easily take more than ￡40 per day, so you can still make a good profit. Lease-Purchase is similar to renting, but charges a higher weekly rental figure (around 50% more). The upside is that you would own the sunbed after around two years. 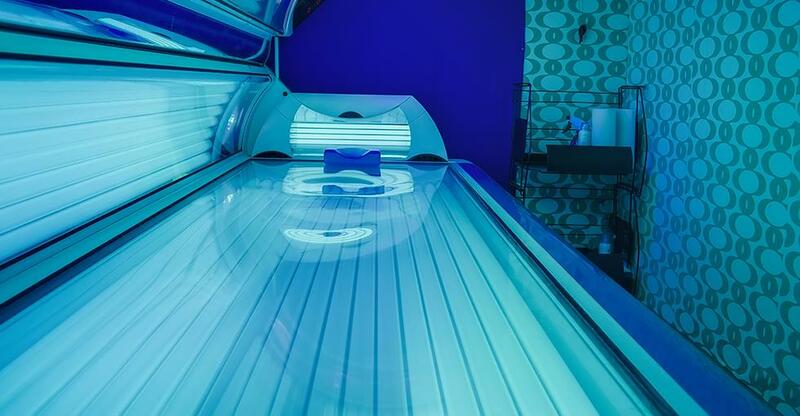 With profit-share, an external supplier owns, installs, maintains, and re-tubes the sunbed, and after a £250 installation fee, will take 50% of the bed’s takings each month. This is a good low risk option for the early days of your business, as it is only worth the investment in quieter periods. But if your salon gets busy, you will be paying half of your hefty profits to the supplier. When considering the purchase of the business and equipment, can you afford to buy outright, or should you be considering raising finance? 4) Do you like cleaning? This would be an asset if you are planning to buy a tanning salon. After each tanning session the acrylic on the sunbeds should be cleaned with disinfectant wipes. The exterior of the bed needs cleaning on a regular basis, and at least once a month, you should do a more thorough cleaning of the acrylics. Annually, you will need to remove the acrylics from the tanning bed and clean the tanning lamps and reflectors. Your whole salon will need to look spotless to reassure your customers that you are running a reputable business. Sunbeds get hot, so you will also need to provide adequate air vents in each room – and, yes, these will need regular cleaning too. Making a success of your salon will rely on a number of factors so it’s vital that you research the industry before you buy. Visit other nearby salons and take mental notes about everything concerning each business - including prices, customer service, safety warnings, cleanliness, and makes and models of tanning beds. Many people now believe tanning is dangerous so you will attract more customers if you are open and honest about the facts surrounding exposure to UV rays. Provide information that gives a balanced view and don’t forget to include how light can be used to promote well-being, the vital production of Vitamin D, and even lessen the symptoms of conditions such as acne and psoriasis! There are a few extras that may make your business more of a money spinner. Eye protection is vital and you can either provide re-usable or disposable goggles. The latter cost around 50p each so you will make some profit from them. Re-usable goggles will need consistent disinfecting so bear that in mind when getting supplies in. Many sunbed users like to buy tanning accelerators, and the mark-up on these products is huge – between 80-100%. Make sure you have a range of these products, from budget sachets to high-end bottles. After-sun products and moisturisers will also sell well so stock up on these. It sounds obvious, but getting a decent phone system will help enormously in making your business a success. Most salon appointments are made on the phone, so a professional sounding system, with a call waiting function will inspire confidence. The more customers you can allocate a given time to, as oppose to walk-ins, the more efficiently you will manage busy periods. Try to get your phone provider to give you a number with memorable digits – repeat digits work well – so your customers have your details burned to memory. In terms of physical location, it makes sense to buy a salon in a fairly busy residential or commercial area as most clients will want to pop in either near to home or work. 8) Will you do a deal? In terms of marketing your business when you start up, offering potential customers a free first session, and advertising the deal widely will do wonders for your ongoing client base. Once you have punters through the door, you can then offer them a monthly tanning package. Most of your potential clients will be serial tanners, so try to inspire loyalty in as many of them as you can, from the off-set. Make sure you create a website, and advertise locally in papers, magazines and with flyers in local businesses and services. Think about how your customers will find you online. Many potential customers will find you through Google searches on their mobile device as they seek a new local salon. Make sure your website is mobile friendly to stop potential customers dropping off before they've booked their first appointment, and keep up with modern marketing trends such as use of social media and email marketing. It’s very important in a tanning salon to keep customer records which document skin type and the advised length of tanning session for each individual. There are several salon software packages available that can keep vital customer information and contact details, schedule appointments and manage inventory. They can also track the usage of all your beds and bulbs – alerting you to when replacements may be needed. In terms of payment, always go for credit card machines. Although you will have to pay a monthly rental fee and a small commission on all credit card transactions, you will find that customers spend a lot more when using plastic. Your tanning products will do well at the point of sale and your customers are far more likely to book a course of repeat sessions when it just takes the click of a button, rather than handing over a wad of cash. 10) Will you join the club? The Sunbed Association (TSA) was formed in 1995 with the aim of promoting good practice within the industry. Membership costs £175 + VAT a year and is well worth it. Joining up will improve your reputation as a reputable outlet and if you adhere to the TSA codes of practice and display a membership certificate, your customers will be re-assured that their well-being is a priority. The association will also recommend insurers, provide marketing material and Health and Safety posters, as well as a training DVD and manual for your staff.